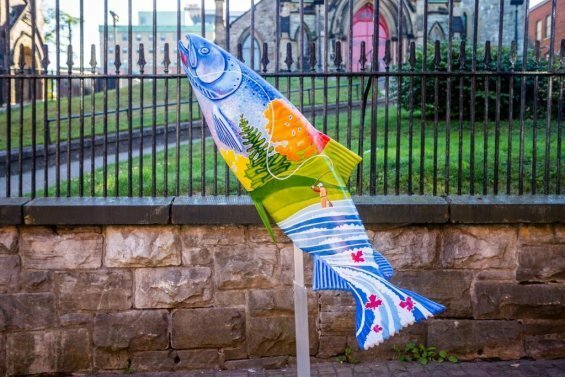 Discover Saint John has announced that their wildly-popular Salmon Run public art initiative will be expanding in 2019 with 10 new installations. 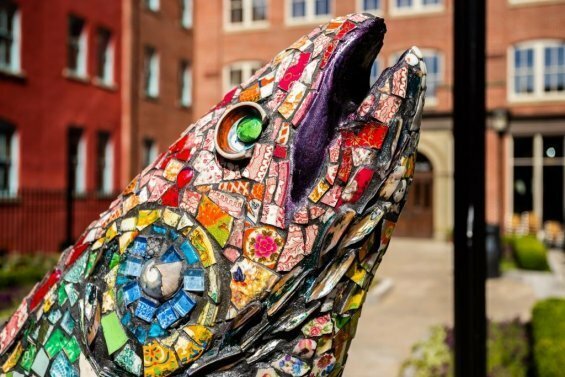 The call for submissions was announced publicly today and closes on March 15, 2019. 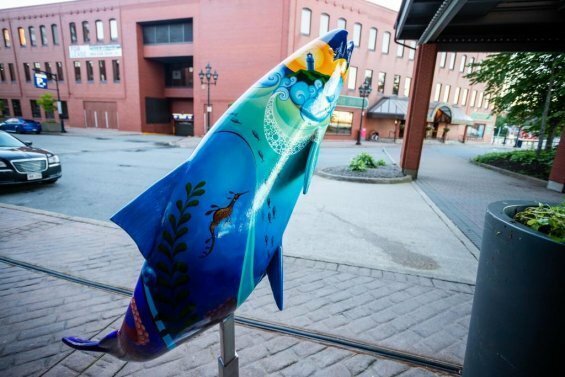 Salmon Run 2019 is calling for submissions to paint or adorn 10 composite salmon sculptures that will be added to a collection displayed at prominent locations around the city during the International Year of the Salmon. 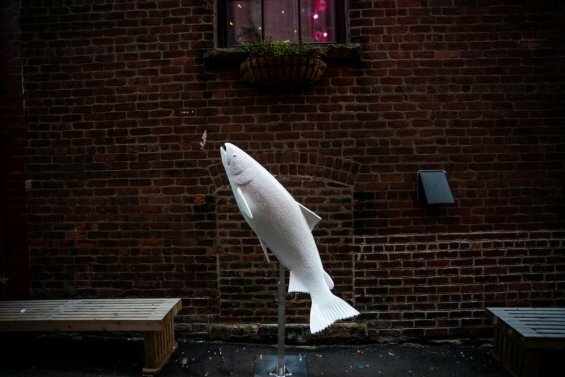 The International Year of the Salmon is a five-year outreach and research initiative of the North Pacific Anadromous Fish Commission (NPAFC) and the North Atlantic Salmon Conservation Organization (NASCO), with a focal year in 2019. 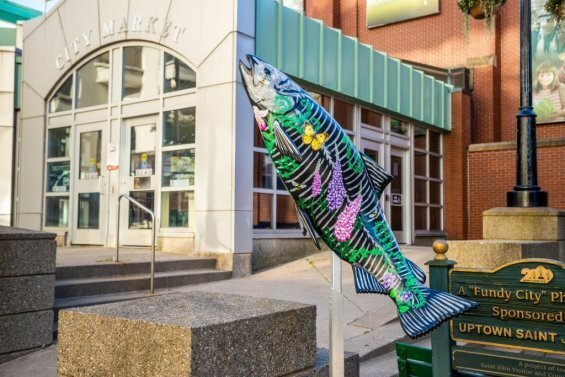 It aims to raise public awareness, gather stakeholders, stimulate science, and inspire action to protect salmon. 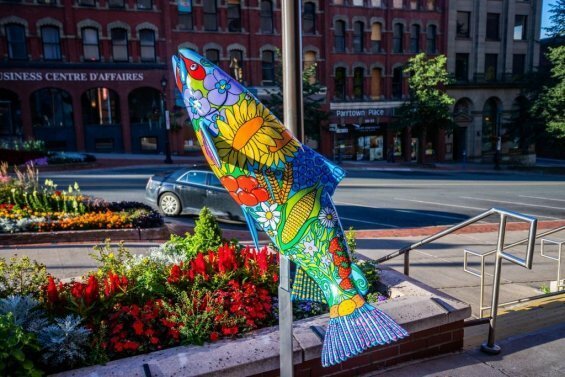 The casts of Atlantic salmon are being created by New Brunswick artist John Morgan to create an urban kaleidoscope of salmon sculptures standing more than six feet tall when mounted. The chosen participants will be given $2000 to invest in the creation of their concept. 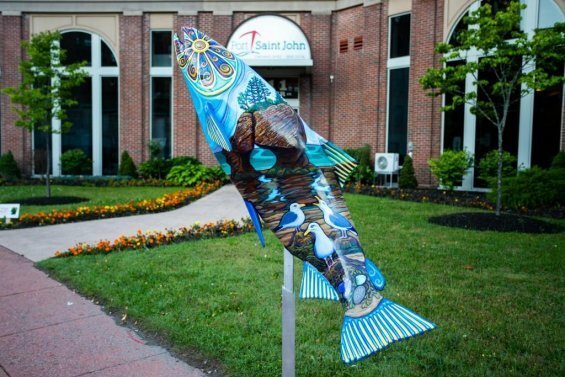 Upon completion the salmon sculptures will be installed throughout the city for public viewing and remain the property of Discover Saint John for future installations. Concept submissions are due by March 15, 2019. Selected participants will be notified on or before April 1, 2019. The official creation period will be April 8, 2019 – May 13, 2019.